There’s no denying that Australians love nothing more than a cold beer and an iconic pub feed. 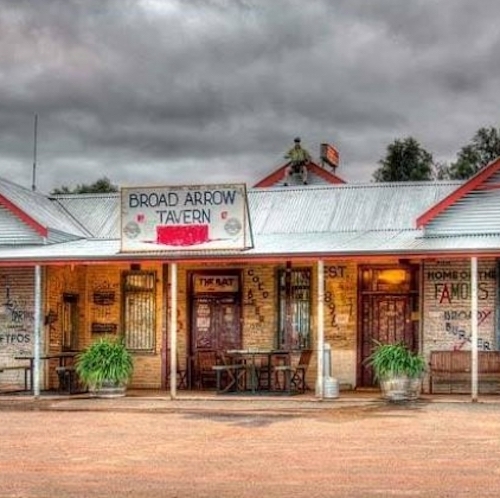 Under 30 minutes north of Kalgoorlie, Broad Arrow Tavern is definitely a sight to behold to say the least. A lot has changed at Broad Arrow Tavern since its construction in 1896: firstly and most importantly, the walls are now dowsed in graffiti. Described as a true, quintessential, Australian outback pub with a heavy graffiti twist – visitors should be pleased to know that after your schooner and pub feed, you’re more than welcome to leave your mark on the walls. Also known as the bar with the bras! Found over 250km south out of Katherine in Daly Waters, the local pub is the perfect (and maybe the only) stopover in your long drive. Built in 1930, Daly Waters is flocked with locals and tourists passing through to check out the infamous hanging bras of all colours, shapes and sizes. Forgot your bra? Not to worry, guests are also known to leave other treasures behind… how about an Irish Hurling Stick? 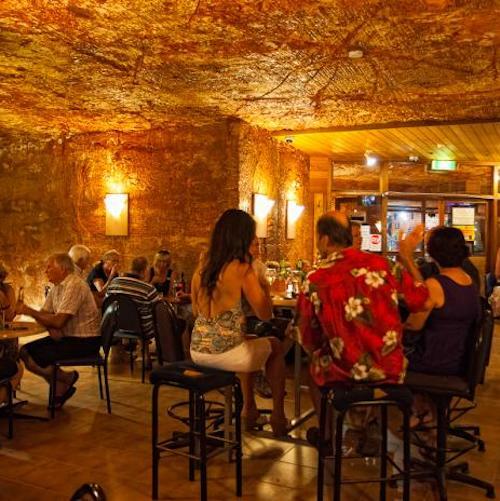 Found within Coober Pedy, also known as the opal capital of the world; visitors to the area and Desert Cave Hotel will be amazed by the lack of residents roaming the streets. Look no further than underground. Due to the extreme daytime heat, majority of the town spends their time underground. Equip with a pub, gaming room, dining options and even accommodation all encased within the sandstone walls. What is usually found up above, you’ll find down below at the Desert Cave Hotel. 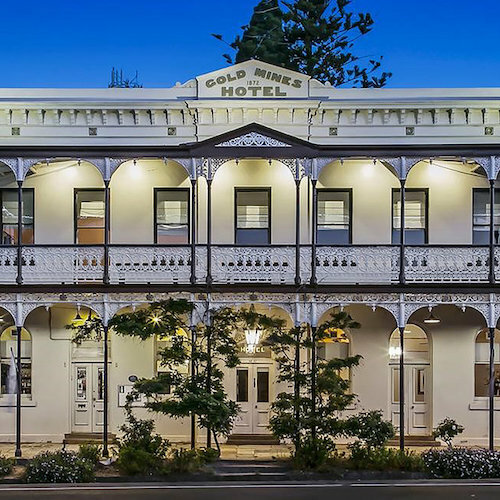 Found a short walk away from Victoria Hill Mine, Goldmines Hotel was built in Bendigo in 1872 and since has become Heritage Listed and recently underwent a revitalising renovation. 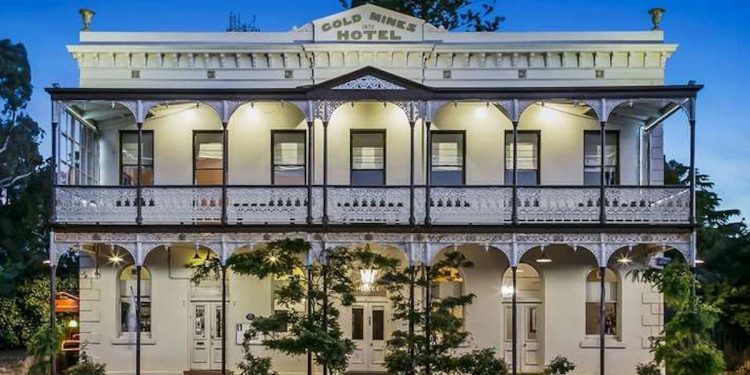 Reopening to the public as of December 2018, the Goldmines Hotel is a haven for locals and travellers. 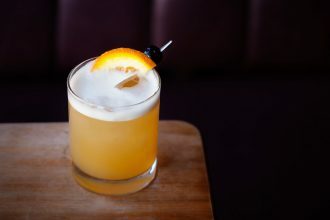 Equip with a Victorian-styled garden, function rooms and a chic bar serving up decadent drinks. Pair your visit with the Goldmines Hotel iconic Sticky Bourbon Smoked Pork Ribs. Over a two hour drive south-east of Launceston in Tasmania, Pub in the Paddock seems more like a humble abode in Pyengana’s rolling hills region. The estate has been licensed since 1880 – making it one of the oldest pubs still open in Tasmania. 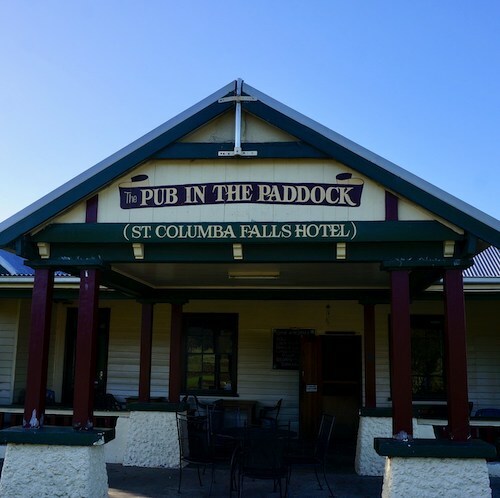 Equip with accommodation and of course a restaurant for a quality pub feed, visitors of Pub in the Paddock will soon be surprised to learn about the Princess of the Paddock – Priscilla. Much to your own liking, Priscilla loves nothing more than the occasional beer or two. New South Wales is known for the Big Golden Guitar, the Big Merino and even the Big Banana; but a giant rabbit trap? 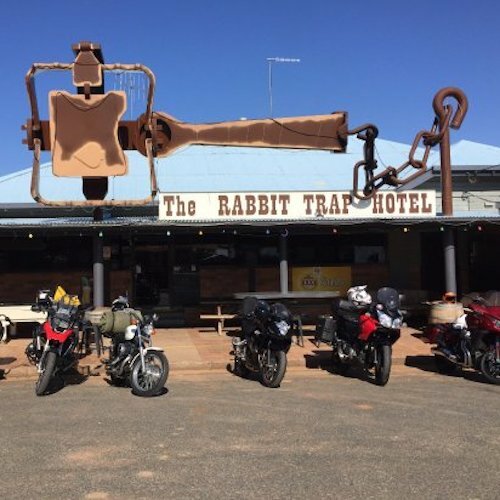 Look no further than Albert’s very own The Rabbit Trap Hotel. 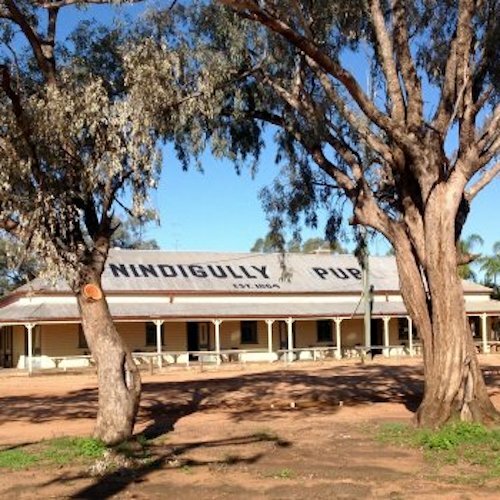 Just over an hour out of Dubbo, locals are known to flock to the pub used as their main watering hole. The hotel was established in 1929, but it was only in 2010 when the 9.5 metre wide and 3 metre high rabbit trap was built. Towering over the roof of the Albert complex, ironic to its name; this is definitely one venue you’ll want to hop into.